Borderland Beat: Baja California Sur, a war zone. Baja California Sur, a place abandoned by the federal government. The security cabinet of Enrique Peña Nieto is concentrated in states where insecurity has overflowed and authorities have been overwhelmed by criminals and drug traffickers, such as Tamaulipas, Guerrero, and Michoacan, entities that had been peaceful but now they are on the doorstep of unprecedented violence. Baja California Sur has been a tourist paradise. Particularly Los Cabos and the capital, La Paz, have been preferred by tourists from the United States and Europe. In fact it had remained as one of the states with the lowest rates of drug-related violence. It even recorded zero executions in the years when Mexico's northern border was in flames. The calm of this prodigious peninsula, a true wonder of nature, has change because of the bad government administration from Narciso Agundez Montano, a member of the PRD political party, he even set foot in prison for his bad administration, that kept the criminals unpunished and made Baja California Sur a haven for drug traffickers. It was there where they protected members of the Arellano Felix cartel who sailed on the sea of ​​Cortez, they party here and lived quietly since no local authority were investigating or pursuing them, while the federal government look the other away. It was in Baja California Sur that Francisco Javier Arellano Felix "El Tigerillo" was arrested in 2006, by the FBI with other members of his organization on a yacht, supposedly on international waters. 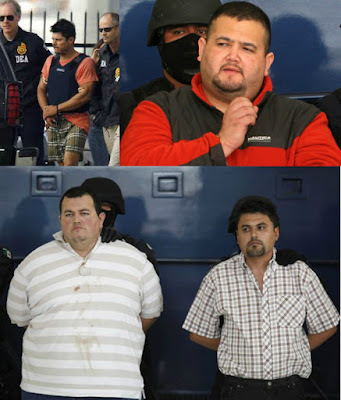 Same thing on 2010, in La Paz, leaders of a cell at the service of the Sinaloa Cartel were arrested, Teodoro García Simental, "El Teo"; Raydel Lopez Uriarte "El Muletas" and Jose Manuel Garcia Simental, "El Chiquilín" who, in the previous four years, had kept Baja California Norte as a war zone against the Arellano Felix cartel, leaving thousands dead north of the peninsula. From this south paradise "El Tigerillo", "El Teo", "El Muletas", and "El Chiquilín" continued managing their multi-million and illicit drug business in other states of the Republic via cell phone and radio communication without anyone bothering them. Baja California Sur 2012, elements of the Mexican Navy, were about to arrest Joaquin Guzman Loera in Los Cabos while vacationing in a mansion at the tourist destination where he knew no one would look for him. A corrupt element warned Guzman of the operation to apprehend him and when the armed forces arrived the drug kingpin was no longer there. 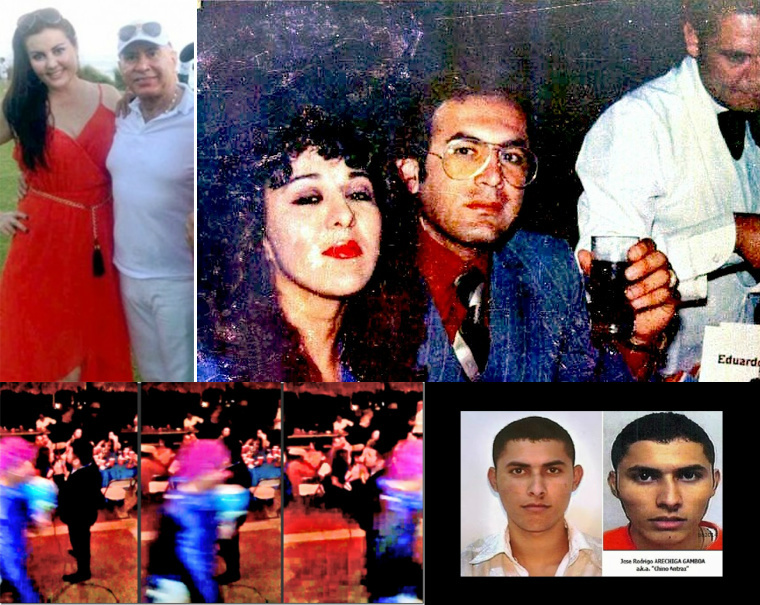 In late 2013, also in Los Cabos, a gunman dressed as a clown, working for Jose Rodrigo Arechiga Gamboa "El Chino Antrax" killed Rafael Arellano Felix as he was celebrating his 60th birthday. And in the Baja California Sur peninsula alleged narcos live there in retirement. Life is comfortable for them in those remote places where a criminal war has began. Despite having documented knowledge of the recreational activity of drug traffickers in Baja California Sur, the Government has not yet developed a strategy to contain the oncoming violence. No special operations, or a red alert. Given the apparent abandonment of the authority to seek order and justice, criminals no longer see Baja California Sur as a recreational place and now it has become a distribution center for Sinaloas drug to Baja California and then to the United States. Like all narcotics distribution area, part of cargoes are left behind for local consumption, creating addicted communities that support drug dealing, another headache for the local society. 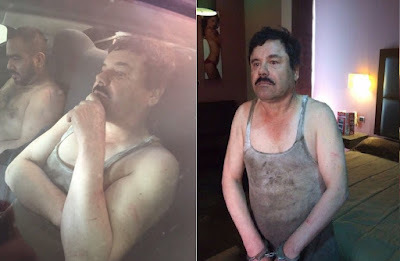 The second capture of Joaquin Guzman Loera, created an internal reshuffle in the Sinaloa Cartel sparked a war in Los Damaso, led by Damaso Lopez Nunez, who split off from the group of Ismael "El Mayo" Zambada, and they took the Baja California Sur territory to start their war . Other criminal organizations have settled in the heavenly destination, but today, due to insecurity and violence, it has a travel alert from the United States Department, for its citizens not to visit that Mexican region . Among the other criminal groups in La Paz and Los Cabos apart from the Arellano Felix cartel we know about a cell of the Beltran Leyva, and it has even been reported about the presence of Los Zetas. In addition, a recent DEA report, states that Jalisco New Generation Cartel has move in to sell and transport drugs in La Paz and Los Cabos. Whit no federal police presence and the absence of a strategy to contain the insecurity by the Government and local authorities, organized criminals have settled in Baja California Sur. 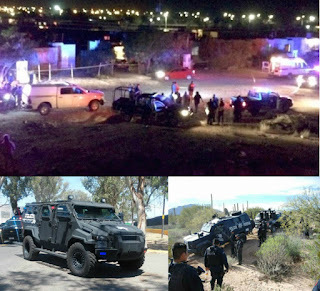 They have declared war and it is lead by four cartels: Arellano cells, Sinaloa, Los Damaso, Jalisco New Generation. In recent months, police have been attacked while citizens are violated, witnesses of shootings during the day and at night. With clashes with police, burning of vehicles, the killing of two policemen and the attack on Luis Alejandro Osorio Alvarez, Commander of the State Preventive Police, criminals have put the war aside between them, to declare war on the police. Still, Baja California Sur has not been addressed by President Enrique Peña Nieto or secretary of national security, Miguel Osorio Chong. Arrested in 2015 Melisa Margarita Calderon Ojeda "La China" a cell leader of Los Damaso in Baja California Sur, give information on her statements at the Seido (Deputy Attorney Specialized in Organized Crime Investigation) the woman layout a web of corruption on her criminal organization, they have local, municipal and state police corporations on payroll, to keep their illicit activity outside of the law. But this information has not been properly analyzed or follow up by the Federal Government to bring the apprehension of corrupt police and officials. Baja California Sur is in abandonment by the federal government. Far from the center of the country, which has been known as a haven for tourists has become in recent years in a battle between the cartels that now dispute this coveted territory. And nobody says anything. Is not Tamaulipas, or Guerrero, but this entity governed by the PAN Carlos Mendoza Davis required the attention of federal forces to stop the wave of violence that affects its citizens, which puts national security at risk, and drawn the attention of the United States Government. If this continues like this, there is a risk of seeing Baja California Sur to join the list of states in the brink of chaos as in the case of Guerrero and Tamaulipas. Mexico deserves an attentive and able government to end the drug war that increasingly extends to more territories before the astonished gaze of citizens who perhaps never expected to see the place become a death zone and shootouts. The government of Baja is the same as every government in the world: if there is money to make they are going to take it. Given Baja's strategic location (long coast close to the main market) it was only a question of time until the drug business would move in big time (bringing with it corruption and the resulting violence and injustice). As long as drugs remain illegal the repercussion on the innocent will not go away! So if drugs were legal then all the cartels will lay down their weapons and not commit anymore violence or crime. If you believe that then you might as well believe that unicorns will help end the violence as well. Oh and legalizing dangerous narcotics like heroin and meth will never happen so stop wasting your breath. --Then the Mando Unico polesia nazional will take over and carry on with the killings, tortures, extortions, and disappearances mandate. Thank you , gracias Tex and BB for BC and BCS news. I spend many months of the year there for 35 yrs and have seen the tentacles reaching ever farther to the most remote locations and the effects in every town , pueblo , fish camp , mis familias /amigos . Everyone has been touched in some way by the corrupt corrosion ...........I could go on..........heartbreaking. I need to cancel my trip to Los Cabos. Acapulco is dead, Ixtapa is a no go, Mazatlan is to hot with criminals and now Cabo. Whats next Puerto Vallarta? There are many beautiful places in Mexico away from the drug cartels, if you want me to tell you where to go just ask. Las Grutas de Tolantongo is a magical paradise deep at the bottom of the mountains and not many people know about them. It has termal waters caves camping grounds hotels restaurants rivers and is in Hidalgo Mexico. Like I said just ask I know safe places all over Mexico. Vallarta is literally the same group of people as in Los Cabos, though a lot of people in Cabo are in hiding from troubles on the mainland. If there's something you don't like in Cabo, there's 10 of it in PV. Cabo is safer because everything's crooked and nothing's aligned. Cabo is a mafia, there's no one crime group in charge, if anyone tries to take it over they're attacking crime groups from all over the world, violence there won't win. Mazatlan is quieter than its reputation, I think it's nice. Go to Puerto Escondido or Huatulco in Oaxaca if you're worried. Lovely towns. Cancun is safe, but I don't recommend it. Human trafficking. You could stay in Merida and rent a car to go to a pristine Carribbean beach. This Terrorism and Drug War is actually caused by an American-International Based group that uses High Tech LASER and Electronic Weapons. This is known as Gang-Stalking. 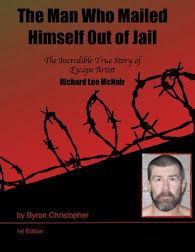 The group has infiltrated American Federal Law Enforcement Agencies and U.S Police Departments as well as the U.S DoJ by having their people hired into those Agencies. And the lizard man conspiracy has replaced EPN with a lookalike. I think your tinfoil hat is a bit too tight. Five dismembered bodies found in Veracruz with messages from CJNG. and this is pretty much from mexicos northern border all the way to central america .. just avoid traveling south. I never tell people NOT to go to Mecico or Baja unless , of course, they are ugly demanding americans who expect everyone to speak english and bend over backwards for them . I have a different advice for them . Stay Home ! The Cartels dont want trouble with tourists and neither does the gov't . They LOVE tourist promotion and all inclusive resorts. They win both ways. No problem for tourists and launder mucho dinero at the same time. I agree , there are plenty of safe gorgeous intriguing places in Mexico, but don't be stupid. AND YES, it does help to know some spanish and for gods sake treat people with respect and be POLITE . Mexicans are known for politeness over most other Latinos. The biggest problem for tourists and Mexican citizens is that so many more people and the NTs are using hard drugs. Petty theft is up big time, robberies , armed robberies , accidents , corruption all plague Mexican society as well as tourists........It is no longer a few folks smoking weed , sooooo many people here and down south are wacked out on the hard stuff which we know will NEVER be legalized. 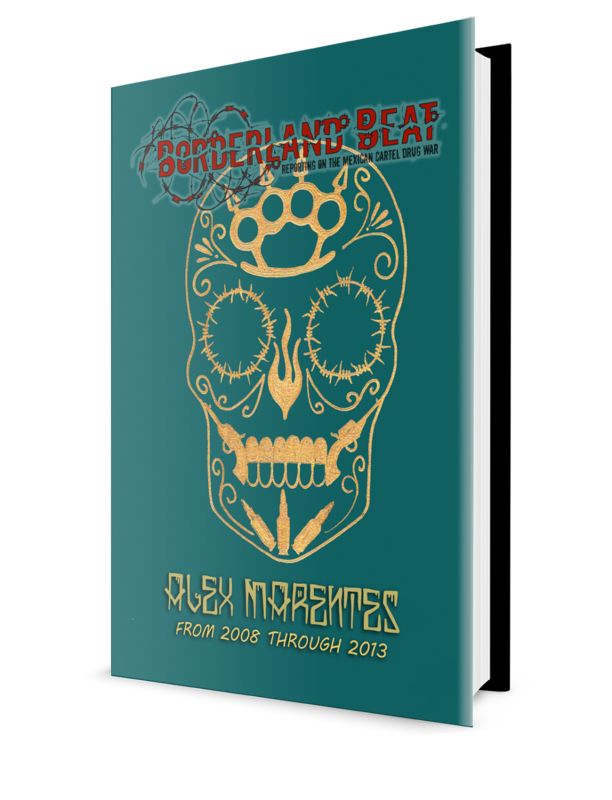 Its the scourge of all society and soon or later may lead to the obvious : Mexico as a failed state. Again : Heartbreaking. Touristas' dinero needs no laundering, what you do there is hide sales, profits, hide money in the mattress, and don't pay taxes. 4:35 do you ever wonder why mexico is a failed state? Thank you BB for posting this very important information about BCS. I the owner of many businesses in Cabo San Lucas. As well as a great deal of real estate. My family has as also invested here. I hold US and Mexican citizenship. I live in fear of being kidnapped or murdered. I may have to liquidate my holdings here and move to a safer country. The mexican government needs to do something about this narco trafficking and narco violence. Failing that, they will see a lot of investment will go to safer countries. Sincerely, Elias F. MASSO. Sell everything away, and move out of mexico, they don't need anymore "bars"